Shirdi is a famous and heavenly city in Maharashtra is famous for the stay and memories of Shri Sai Baba. Tourists who want to practice luxurious living in Shirdi may choose to live up in Hotel Sai Leela one of the finest hotels located near the main temple. Sun-n-Sand and St Lauren Meditation and Spa, both located on Shiv Road. Shirdi Hotels offers best budget hotels in Shirdi at reasonable price. The Hotels below are 5 stars and 4 stars, all with luxurious facilities. St Lauren Meditation Spa & Resort is one of the best luxury 5 Star hotels in Shirdi. Shirdi is one of the most holy and sacred spots in India. It is located at Rui Shiv Road in Shirdi in the Ahmednagar district of Maharashtra. The famous Sai Baba temple is at a distance of just 750 metres or 1 km from the hotel. The hotel has 103 rooms with different categories. The rooms are equipped with air-conditioning, direct dial telephone etc. Matrix Inn is a new Luxury hotel by Fountain head Lifestyle in Shirdi also known as the Land of Sai. Matrix Inn is a 4 Kms distance from the Sainagar Shirdi Railway station and 15 kms from the proposed Airport. It also houses swimming pool, recreational activities, conference and banquet hall which can have room for around 1200 to 1500. Hotel Celebrations is a new hotel luxury hotel with 3 Star facilities. It combines the religiousness of the city with luxury which makes the stay memorable experience. The suitable location makes the hotel ideal for the Sai devotees and tourists visiting the famous Sai Baba Shrine. Hotel Celebration is located very close to Sai Baba Temple which is just 350 metres away. Hotel Kala Sai is situated on the Nagar Manmad Highway just 500 metres from the Sai Baba temple. Hotel Kala Sai offers both AC and Non AC Rooms with common facilities like; in-room safe, telephone, satellite TV, attached bathroom, sofa bed etc. Best Western Goradias Hotel Shirdi is a 4 Star foremost hotel combining luxury with quietness. It is located right opposite to main Sai Samadhi temple off Pimpalwadi Road in Shirdi. It is easily available from railway station and bus stand. The rooms are available with AC, cable and satellite television, intercom, refrigerator, safe, tea/coffee etc facilities. The hotel has decorated 80 guest rooms. Hotel ABS Shirdi offers budget and reasonable rooms in the city of temple where the temple of Sri Sai Baba rests. Thousands of devotees visit the city round the year to pay honour to the temple. Hotel ABS in located at Pimpalwadi Road close to the local bus stand. Hotel ABS also offers facilities like parking; in-room dining, vegetarian meals; 24 hour front desk, and provides all basic services to the guests. Hotel Ashoka Executive is a budget hotel perfect for religious trip in the holy city of temple. It is a permanent have enough money to expand and modify its facilities and surroundings to provide the best results to devotees. It is situated opposite Sai Baba Santhan’s Bhakti Niwas near Axis Bank and 1 kilometre from Sai Baba temple. Hotel Delta Executive is a luxury hotel in the land of peace, religion and calmness. It is run by a team of professionals with rich experience from Delta Travel Corporation which was established in the year 1996 at Hyderabad. Hotel Delta Executive situated only 5 minutes walking distance from the holy temple and opposite to new Prasadala. The hotel has 15 comfortable rooms with option for both Non/AC and AC rooms. An ideal place of comfort, peace and quality is Hotel Lee Grand in Shirdi. This hotel is located in Pimpalwadi Road which is the closest area to the Sai Baba Temple in Shirdi. It is located in the heart of the blessed town Shirdi and very close to Sai Baba temple with distance of 500-700 metres. Hotel Shradha Saburi Palace is a family run hotel in Shirdi that offers leisure along with a personal touch. 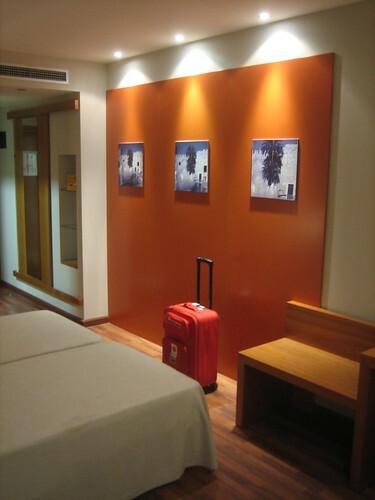 Hotel ensures a complete customer satisfaction and follows the rule of “First Time, Every Time. Hotel Rajkamal Shirdi is a stylish budget hotel offering the visitors generous accommodation at pocket-friendly price. The hotel is located on Kanuri Road and walking distances to Sai Baba temple. Hotel Rajkamal has 30 rooms and 3 floors.